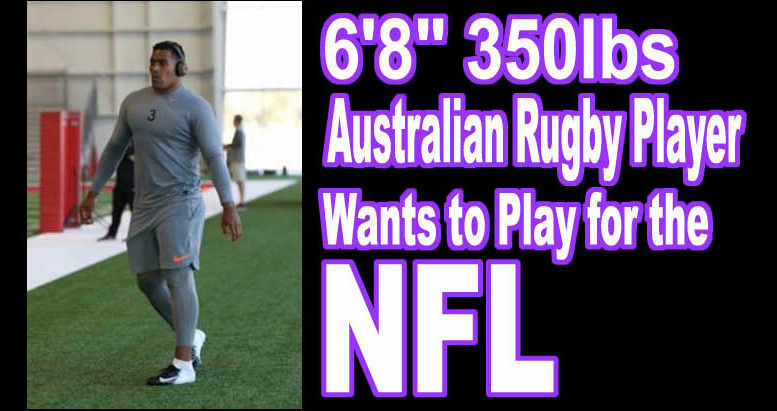 Australian rugby player 21-year-old Jordan Mailata picking up NFL interest, visiting five teams this week. He has never played a down of football, Yet that’s not stopping a handful of NFL teams from wanting to draft him. Mailata, who currently plays in the Australian National Rugby League, is visiting with five NFL teams this week ahead of the NFL Draft later this month. He met with the Washington Redskins on Monday, and will visit the Pittsburgh Steelers, Philadelphia Eagles, Cleveland Browns and Los Angeles Chargers throughout the rest of the week. Super Bowl 51 - Tom Brady or Matt Ryan: Who has the Better Supporting Cast? Would you Buy Lavar Ball's Shoe for $495?